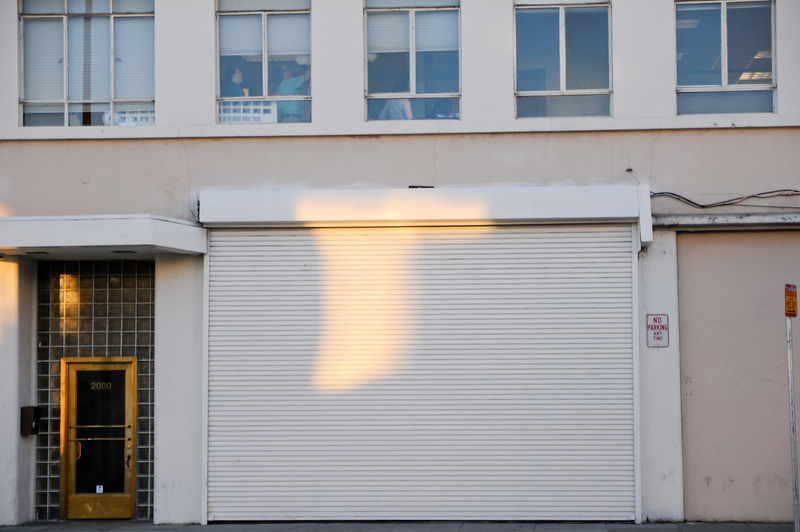 A search for Gumby — what can you spot on the second floor of 2000 Folsom Street? Photo by Jessica Lum. A former chocolate factory at 16th and Folsom is now home to a movie crew working on an animation film for Disney, according to Koala Moredo, the production coordinator. The 100,000 square foot property at the corner at 2000 Folsom has been empty since April, 2009 when Joseph Schmidt stopped melting chocolate into egg-shaped truffles. At the time, the chocolate factory employed 100 workers, many of them from the neighborhood. The new tenants, who call themselves “Shademaker Productions” will include around 150 employees, according to a document filed with the SF Planning Department. Many are from the same crew that made James and the Giant Peach and Coraline, an employee said. The latter was made at a SOMA studio. A SF Planning Department letter dated November 3 quoted from Shademaker’s request for a zoning determination. In that request, the company says it specializes “in creating 1/5 scale sets and puppets which are shot on a 30,000 sq. ft. stage. The Planning Department ruled in favor of the move. Shademaker Productions, incorporated in June, has the same Burbank address as Disney Internet. Moredo confirmed it was part of Disney. Shademaker is also the working title of the crew’s new film. When asked what the animation style would be like, another employee said “think Gumby” – referring to the green clay humanoid television star created in the 1950s. Cartoonbrew, a blog following the industry, referred to the company as Cinderbiter, but Moredo said it was the same group. “We were kind of schizophrenic,” he said. The 38-year-old Romanohas worked on nearly 50 films including Up, The Incredibles and Monsters, Inc., according to IMDB. Hi: This technique is called “stop-motion” and Director Henry Selick is one of the leading practitioners. Shademaker Productions was established for him to make this type of animated movie, near Disney’s Pixar studios in Emeryville. Variety wrote an extensive story about Selick moving to Disney almost a year ago; too bad the software here won’t let me post the link. Are you kidding? Lou Romano?